When we think about raising our children we only want the best for them, whether it is doing well in school, having a large group of friends, or excelling in a sport or area of interest. Most parents will do whatever it takes to support their child in being successful in all three arenas no matter the sacrifice. 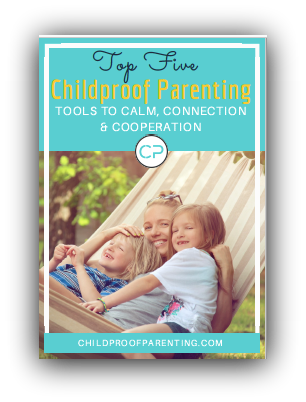 Parents will step in and advocate, buy the latest gadgets for kids so they fit in, "help" with difficult projects and papers and protect and guide kids every step of the way. As parents, we feel proud and accomplished when our kids are successful. These types of behaviors can often be identified as overprotective or "over-parenting" and have the potential to squelch a child's confidence, undermine a child's opportunity to learn, take responsibility and gain independence. So I ask, is all the "helping" that parents are offering these days the best means of nurturing successful young adults? The research is showing that "overparenting" has been associated with lower levels of achievement orientation, less self-regulation and reduced social responsibility in children (Baumrind, 1991). In addition, high levels of responsiveness to children and over-parenting have been shown to increase a child's likelihood for risk of victimization at school (Georgiou, 2008). So, what is a parent to do???? The answer is let your child fail! One of the first parenting books I read, when I had my first child almost 10 years ago, was Wendy Mogel's Blessings of a Skinned Knee. This book reinforced and still serves as a reminder to me that some of our best parenting is done when we do nothing or step back. Sometimes this means allowing natural consequences to do the teaching. In the book, she reinforces that a dose of misery, suffering, deprivation etc. can be part of the growing up process. Using natural consequences is a safe way to allow children to learn from their own choices or decisions. Natural consequences are what happens when we allow our children to act and then see how the world or other people respond. For example, if a child does not wear his jacket to school he may not be allowed to go out to recess and if he does go to recess he will have to deal with the cold or problem solve and figure out a way to keep himself warm. Or if a child does not eat dinner, she will be hungry later in the evening. Your child will not die from the cold because they forgot a jacket or fail to thrive because they chose not to eat what you served at dinner. But they will learn very quickly from their own choices and decisions without you saying or doing a thing what is in their best interest. As a parent, I get to practice the use of natural consequences in my own parenting. And I know that other people might judge me when I use natural consequences as a means for teaching. Just the other day I took my son to his basketball game and he forgot his water bottle. Another parent was willing to rescue him by going out to her car to get a bottle of water for him, which would also mean that she would miss watching her son play in the game. I politely declined her offer and shared with her how I wanted to embrace this opportunity as an important teaching moment for my son. She looked at me kind of funny and maybe she thought I was being lazy or neglectful. For me, the lesson of responsibility was much more important than solving his problem of feeling thirsty. I knew that he wasn’t going to die of thirst and that after the game we would be passing by a water fountain and he could get some water then. I also knew that he would probably be more likely to remember his water bottle for the next game without me needing to nag or remind him. It would be his choices and his experience that would do the most powerful teaching in this scenario. I invite you over the course of the next week to find opportunities to step back or out when your knee-jerk reaction is to step in and save or guide your child. By allowing your child to fail, you will help increase your child’s resilience, reduce a sense of entitlement, and increase life skills as well as a sense of responsibility and self-efficacy. Please feel free to share your successes and missed opportunities with us! As parents, we too are trying to navigate the world of parenting and are in process. We hope that through your process you will be kind to yourself, embrace the idea that mistakes are opportunities to learn and enjoy your family to the fullest! Download my "Top 5 Benefits to Letting Your Child Fail" and after reading them you'll be looking for opportunities to let your child fail! Are You An Emotion Coaching Parent?